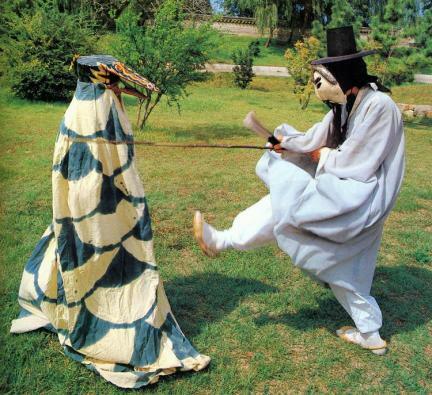 오광대는 남부지역(낙동강 서쪽지역)의 탈춤을 가리키는 말로, 초계 밤마리 마을 장터에서 놀던 광대패들에 의해 시작되었다고 한다. 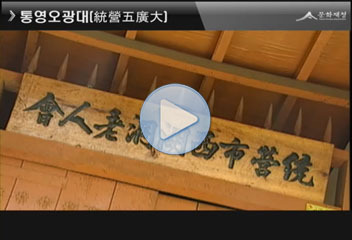 낙동강을 중심으로 부산 동래, 수영 지방에서는 야류(들놀음), 통영·고성·가산 지방에서는 오광대로 불린다. 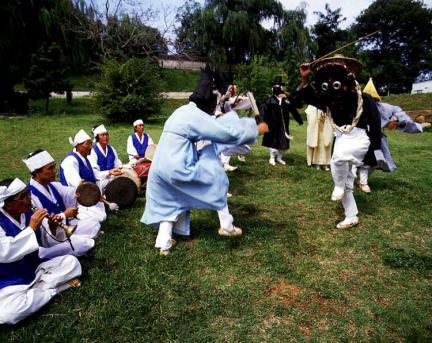 통영오광대는 길놀이를 시작으로 제1과장 문둥탈, 제2과장 풍자탈, 제3과장 영노탈, 제4과장 농창탈, 제5과장 포수탈 등 5개 과장으로 구성되어 있으며, 문둥이․말뚝이․양반․팔선녀․영노․사자 등 31명의 인물이 등장한다. 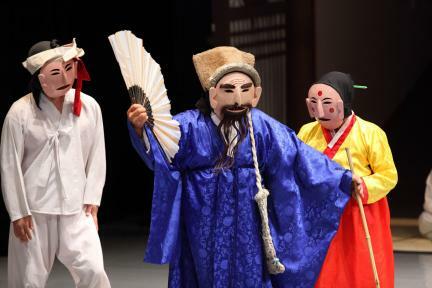 양반과 파계승의 풍자, 처와 첩의 문제 등 민중의 생활상을 반영하고 있다. 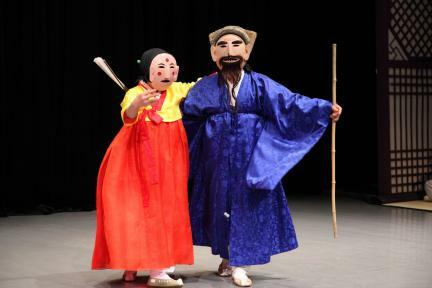 가장 특징이 있는 춤은 문둥이춤으로 꽹과리가 주도하는 반주음악에 맞추어 문둥이의 생애와 한을 표현하고 있다. 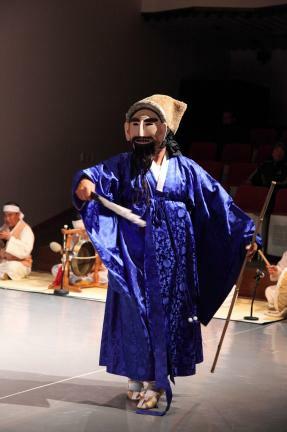 현재 우리나라 오광대 중에서 사자춤이 있는 것은 통영오광대 뿐이다. 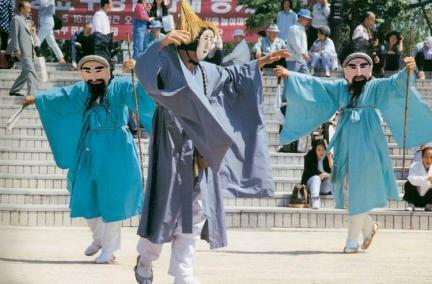 통영오광대는 우리나라 남부 지역 탈춤 전통을 잘 보여주는 탈놀이로서 서민생활의 애환을 담고 있는 전통적인 마당놀이이다. 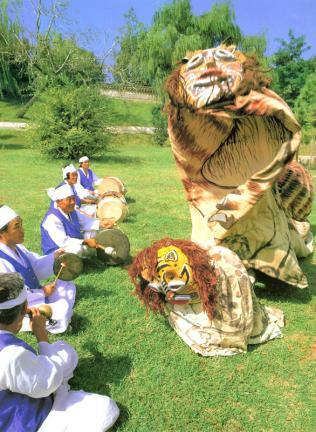 Ogwangdae refers to a form of traditional folk performance developed in the southern part of Korea including Tongyeong, hence the name Tongyeong Ogwangdae. 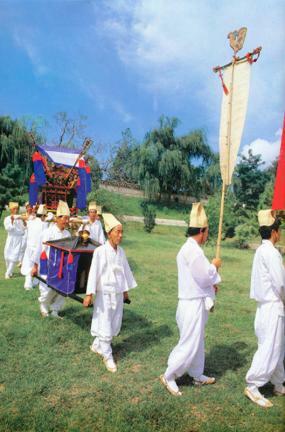 Initially, Tongyeong Ogwangdae was performed on the eve of the Daeboreum (full moon of the 15th day of the first lunar month), but it gradually came to be performed on other festive days in spring and autumn. 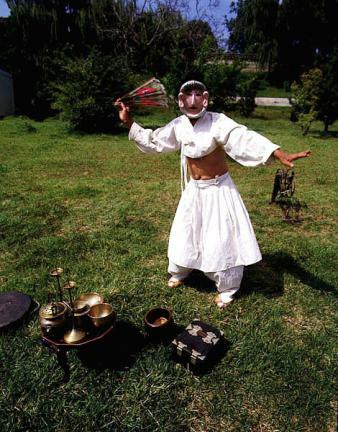 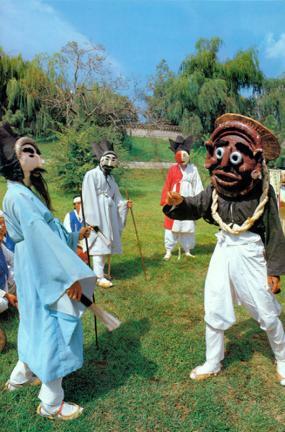 Some specialists claim that Tongyeong Ogwangdae originated from a form developed in Changwon Ogwangdae (Mask Dance Drama of Changwon) about a century ago - either by a group of local entertainers or Yi Hwa-seon, an Ogwandae player who moved from Changwon to Tongyeong. 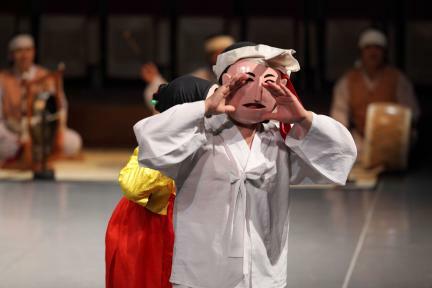 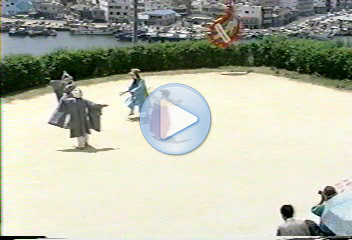 Each performance of Tongyeong Ogwangdae is composed of five episodes in which a total of 31 players play diverse characters by donning masks intended to represent them, including Leper, Malttugi, First Yangban, Second Yangban, Hongbaek Yangban, Faltering Yangban, Pockmarked Yangban, Black Yangban, Jorijung, Eight Heavenly Maids, Yeongno, Yeongnong Yangban, Halmi, Jeja Gaksi, Sangjwa, Blind Man, Sangju, Hunter, Mongdori, Lion, and Dambi. 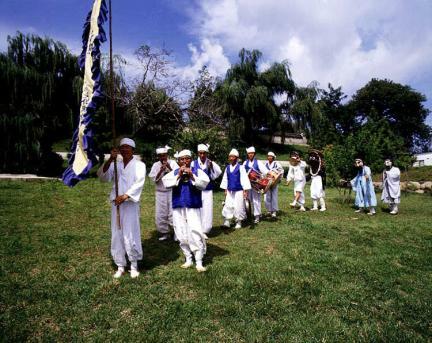 Each episode is focused on the complicated relationships between commoners and their views on Korean society and the ruling class. 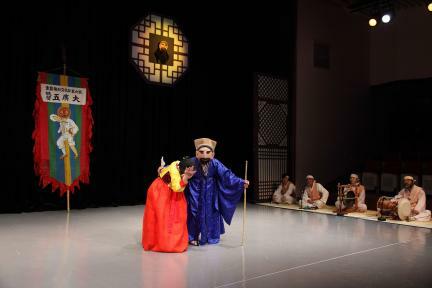 The words exchanged between the characters are typically barbed with sharp satire, effectively mocking the absurdity and hypocrisy of Confucian aristocrats and Buddhist monks. 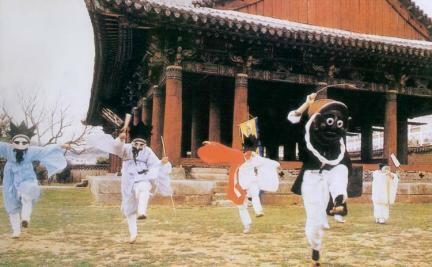 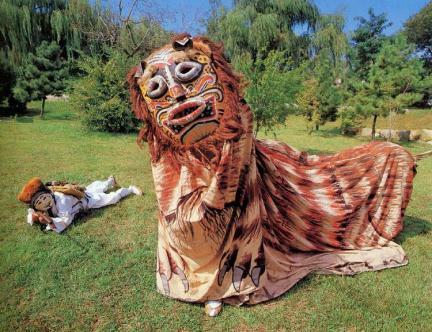 Tongyeong Ogwangdae is also famous for some of its dances, and most particularly the Leper’s Dance, which convincingly expresses the bitter life of a leper, and is also the only Ogwangdae troupe to present the Lion Dance during its performance. 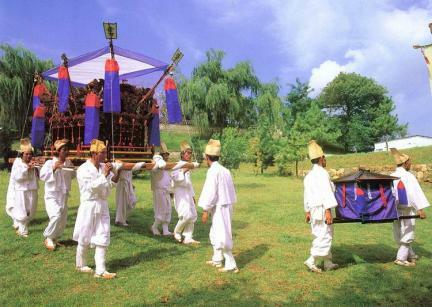 Tongyeong Ogwangdae is inscribed on Korea’s list of Important Intangible Cultural Heritages.